Do you need a Short Term or Long Term Loan When Buying a Car? Both first-time and frequent car buyers ask themselves this question when saving up for a car. Obviously, because you want the best option that will enable you to get an affordable deal. Paying expensive auto loan monthly installments can affect your ability to pay auto insurance on time. 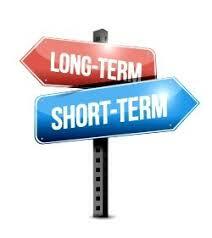 In order to determine whether you do need a short term or long term car loan, you need to analyze a few factors. Here’s what you need to focus on if you’re planning to get a short-term car loan. Is money the only important factor when thinking about Short Term or Long Term Loan When Buying a Car? 1. When should you apply for a short-term car loan? 2. When should you apply for a long-term car loan? 3. What’s your ideal auto loan repayment period? Car owners who are financially disciplined and have well-paying jobs or businesses tend to have huge savings in their bank account. You’ll also realize that they have several sources of income and high net worth. Such a car buyer can afford the shortest repayment period easily because they have sufficient net incomes. Short term auto loans have high monthly installments because you pay a higher portion of interest compared to a long-term loan. Assume you want an auto loan worth $35,000 at a 4.34% interest rate but you’re undecided about a 24-month or 48 -month repayment period. If you pay a deposit of $10,000 and sign up for the longer repayment plan, you’ll pay $568 each month. However, you want the shortest repayment period. Choosing the 24-month option means paying $1,089. If you’re planning to buy a bigger house in the next three years through mortgage financing, you need an excellent credit score. How can you improve your credit score significantly within a short time? By choosing the shortest repayment period when applying for a car loan. Any creditors you encounter in future will offer you fantastic mortgage rates due to one advantage. Clients who choose the shortest debt repayment periods create an excellent first impression because their payment history indicates high reliability. So, save up for a short repayment period to gain credit scores improvements fast. Did you know that you get nice offers for trade-ins if your car is less than five years old? This strategy works well for car buyers looking to upgrade to luxury cars within 2-3 years. How does this strategy work? First, you purchase a high-end car manufactured in the past couple of years. Then, you apply for the shortest repayment period because you want to trade-in your car when it’s still hot. By the time you finish paying your auto loan, you’ll also have some savings to top up your trade-in. Therefore, your car dealer will give you an affordable offer for the latest car. Let’s assume you’re a medical doctor based in New York working in the public health sector. In addition, you don’t own a car yet. One morning, your boss informs you that the government has posted you to New Mexico for a period of 5 years. So, you leave the following week and fly to your new workstation. In this case, buying a slightly used car is more affordable than leasing a car for five years. Car dealers expect you to purchase your own insurance on top of paying expensive auto lease fees monthly. Purchasing a slightly used car using a 24-month auto loan guarantees full ownership as long as you pay your installments on time. After your tenure, you can decide to keep the car or sell it. Let’s assume that you own a thriving beach resort situated at Florida’s expansive beach. The local meteorological department announces that a terrible hurricane will occur in two weeks. Indeed, the hurricane shows up on time and wreaks major economic havoc. While your insurance company will compensate you for physical damages, the repairs might take more than a couple of months. This leads to a huge downtime because you cannot host guests or even sell meals like a restaurant. However, if you want to buy a car urgently, the bank or car dealer still expects you to pay your auto loan installments on time. If you had some savings, you can apply for a long-term car loan to pay monthly installments that are within your reach. One way of saving money consistently is by lowering costly recurring expenses. Perhaps your financial coach has advised you to save up for a debt repayment strategy because you have a bad debt-to-income ratio. You realize you can save at least $500 per month by applying for a 60-month auto loan as compared to a 24 month repayment period. If you save $500 a month for one year, you have $6,000. At this rate, you can clear major debts in order to improve your debt-to-income ratio as well as your credit score. Assume you want to apply for an auto loan worth $35,000 at an interest rate of 8%. If you qualify then pay $10,000 as the deposit for your car, you’ll pay $1, 131 for a period of 24 months. After a few months, the government introduces a new law that brings about major drops in interest rates. Now, you can get the same auto loan at 5% instead of 8%. If you apply for an auto loan worth $35,000 at 5% then put down $10,000, you’ll pay $1, 097 for the next 24 months. However, if you want to save good money, choose the 60-month plan because your new monthly installment amounts to $472. That’s a difference of $625! It all depends on your current financial health, financial goals, and interest rates. Make sure that you verify the monthly installments described by your creditor by using a car loan monthly payment calculator.